My super awesome Goodreads friend Sharon is here today to review the first book in Susannah Sandlin’s Penton Legacy series. Did you know that Susannah Sandlin is actually a pen name for Suzanne Johnson, author of the Sentinels of New Orleans series?! How cool is that?! For vampire Aidan Murphy, life has never been so desperate. The vaccine used to treat a global pandemic has rendered human blood deadly to his kind, leaving them on the brink of starvation and civil war. In tiny Penton, Alabama, Aidan establishes a peaceful community of vampires and unvaccinated human donors. He dares to hope they can survive ? until his estranged brother descends upon Penton and begins killing the humans. Determined to save his town, Aidan kidnaps an unsuspecting human doctor?and finds himself falling in love for the first time in nearly four centuries. Dr. Krystal Harris thought she was coming to Penton for a job interview, but Aidan Murphy has other plans. Infuriated by his high-handed scheme to imprison her in the small town, Krys can’t ignore the attraction between them. But is it love? Or does her dangerous, charismatic captor want only to bend her to his will? 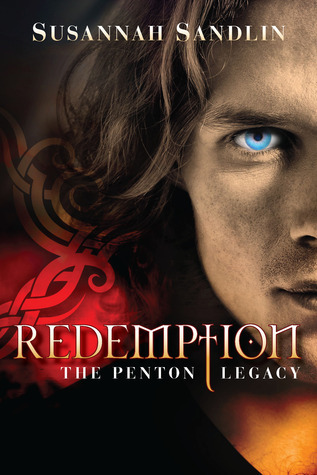 Redemption by Susannah Sandlin is the first book in the Penton Legacy series. Krystal Harris is given an amazing opportunity to work in a rural community as a doctor and pay off her student loans. Upon arriving in town for her interview, she has to put her skills to use when one of the town people has been attacked. Aidan, the “mayor” of the town and master vampire has to enthrall Krystal to stay until he can convince her otherwise. Well, this was certainly a pleasant surprise. I had not heard of this series but was intrigued by the premise and of course, I love vampire books but I wasn’t prepared for liking it as much as I did. I would even go so far as to say it’s ~ almost ~ but not quite up to the par as some of the heavy hitter series. The premise is that a vaccine for humans that was used against a pandemic has caused their blood to be poisonous to vampires. There are not too many humans that are unvaccinated and this has lead to vampires starving and fighting over them. I thought this was a great spin on a vampire story and I loved that Aidan just wanted to make a place where humans and vampires could live together in peace. Krystal was almost a bit too accepting of everything…too accepting of the vampires, too accepting of her attraction of Aidan and too accepting of something that happens at the end. I’m not saying that’s a bad thing but I wish she would’ve fought things a bit more. Aidan was great…hunky, brooding, Irish vampire that wants to protect everyone, feels guilty about some things in his past and feel unworthy but doesn’t want to hurt the human he falls for. What more could you want? Ahhh…how about a bad guy that just happens to be his brother? I had high hopes for Owen but he is really bad. I enjoyed their brotherly “love” but I felt the drama went back and forth too much and dragged on for too long. 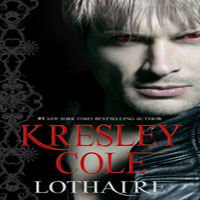 There are a lot of great vampires in the scathe namely Aidan’s lieutenants; Mirren, Lucy, Will and Hannah. Mirren’s story is next and it should be very angsty. Lucy’s story will be a hard one as well but I love that we might have a female vampire lead. Will’s story will be complicated. And Hannah…well, she’s a whole other story but you’ll have to read this to find out. All in all, a really enjoyable vampire story with a twist and some really good romantic and steamy scenes. Can’t wait for the next one! Share the post "Guest Review: Redemption by Susannah Sandlin (Penton Legacy #1)"
Have read Redemption & Absolution. Really liked both. Have also read Royal Street & River Road in the Sentinels of New Orleans series. Liked both of them also. In each series the second book is better than the first. Really looking forward to books number 3, Omega & Elysian Fields. Well, 4 stars it’s not bad for book #1, and the plot sounds interesting, I saw book #2 on audio and I was intrigued, now I’m looking forward to it. I really liked this one as well, it was a nice PNR book, I’m curious to see how the second is. @Roger Simmons…thanks for letting me know about Absolution. im am definitely reading that and im sure Omega will be on the list as well. @Lupdilup…thanks and i hope u try it and enjoy it! @blodeuedd…have u read the books under her other name? im curious how those are.